New super large detailing brush to enable you to get on with loads of detailing jobs in total safety and at greater speed. Please note: smaller brush shown for illustration purposes only and purchasable separately. Dash duster and medium duster - treated with baked on wax to attract dust instead of just moving it around. Same unique features as larger one but for smaller vehicles. 7" long. Fantastic product for dusting cars in showrroms, at shows or in garages. Special baked in wax on the fibres never needs retreating. The dirtier it gets the better it works. A must if you care about your car as it attracts the dirt. Large 14 inch head. Stout folding 10 litre bucket for shows, touring, picnics and chilling drinks ! Stands on its own when full, made of welded PVC with rigid rim and base, plus metal handle. We're always told how hard to find these are. Completely washable and re-usable 5 inch 100% Cotton terry & foam pads. Ideal for applying polish and compounds - save wasting your polish. 3 pack. 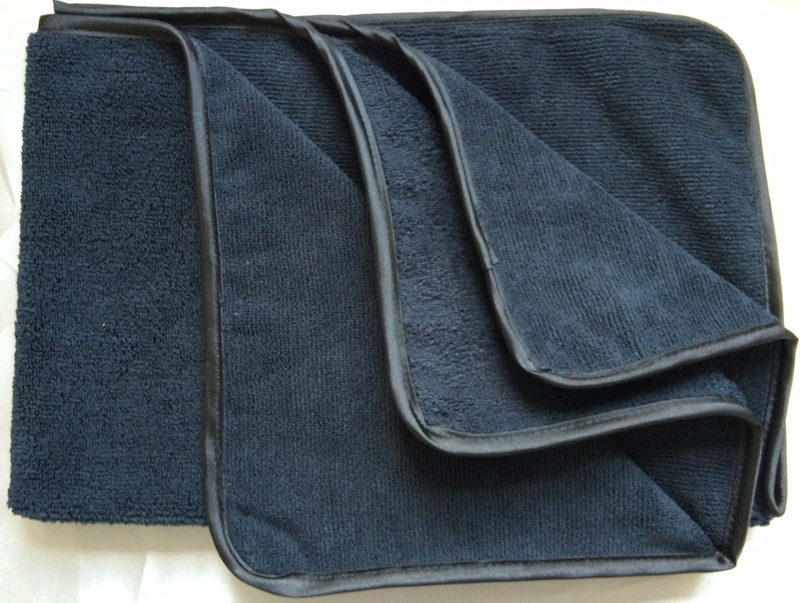 Completely washable and re-usable 5 inch 100% Cotton terry & inner foam pads. Ideal for applying polish and compounds - save wasting your polish. A satin, ultra-soft non-woven gauze, made for polishing to a mirror finish. Non scratch - use either as a disposable, like professionals do, or wash time after time, reinstating its incredible softness. Around 20 sheets, each 1m+ square. 100% microfibre fabric around a quality foam sponge. Ordinary sponges are the main culprit for causing scratches and swirl marks in your paintwork - this doesn't. Apparently identical to double the price Swiss product. 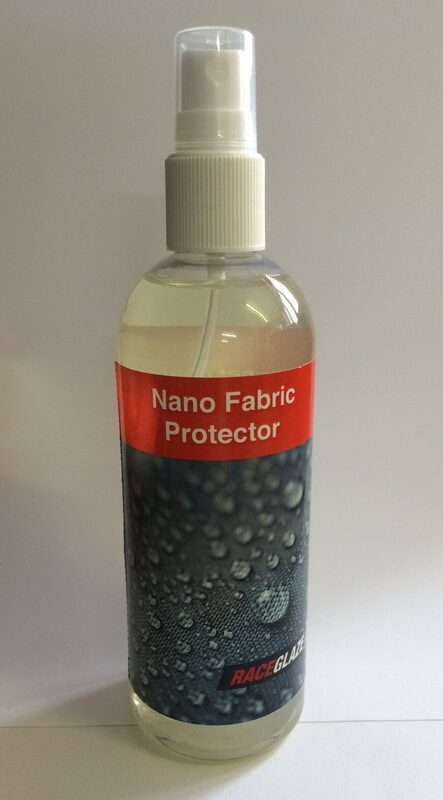 Finest micro-weave microfibre for final finishing, superb on glass and metalwork. Smooth 'peachskin' finish, 50cm x 60cm. Machine wash.
Everyone will find these neat and useful pads incredibly useful to keep in the car for drying condensation off. Also useful for cleaning or buffing up small areas of bodywork. Natural chamois and tufted microfibre on the reverse, which is very absorbent. Superbly absorbent 60cm x 60cm Microfibre drying towel is the best available for drying your car. Clever waffle weave prevents scratching, picks up immediately and holds a pint of water - gets better with use. Machine wash.
Great value twin pack on special offer - normally £8.99 each. Just like our Door Protector Pads, an incredibly useful big, thick lump-absorbing 28mm thick high-density foam pad to lie on when fixing your car. Simply, it prevents back ache as its really thick and padded, absorbing the effects of uneven surfaces. Self-adhesive bump protection pad - apply to the end and sides of your garage to prevent dents and paint scrapes when open car doors. Dense foam absorbs impact and looks smart too. Now installed by many architects and builders. Produces thick, clinging foam of very small bubbles to soften dirt as foam drips off your vehicle. Softens bugs, mud, salt deposits and road film, whilst not removing wax. Non-TFR based foam. Fine, deep natural sheepskin wash mitt, with thumb, elasticated wrist and hanging loop. Its deep pile takes dirt away from the surface, preventing the scratches and swirls so easily generated by sponges. Hand wash, air dry.